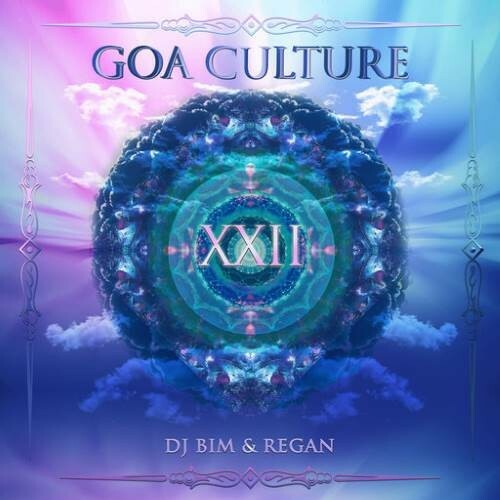 The Goa Culture Series goes in the 22nd round and this time, it is a fantastic collaboration between Yellow Sunshine Explosion DJ Bim and DJ Regan from South Africa s well known Psychedelic Trance Label Nano Records. Goa Culture Vol. 22 is like every time an outstanding journey into the world of psychedelic progressive Goa Trance the ultimate soundtrack for the golden summer 2016. This release contains music in the modern progressive and psychedelic Trance genre, with emphasis on groovy, powerful, uplifting and massive tracks, forming cutting edge musical journeys, and massive tools for DJs. Enjoy 150 minutes of the finest 'hands in the air' Trance Music from some of the most respected producers of this Planet like Tristan and Aardvarkk, Waio, Menog, Avalon and Burn in Noise, Magik, Burn in Noise and Earthspace and Shekinah, James West, CircuitBreakers, Earthspace, Drukverdeler and DJ Bim, Sad Paradise, Moon Tripper, Side Effects, Invisible Reality and Atacama, Ilai, Egorythmia and Static Movement, Mindbenderz, Atomizers. We like to welcome you to this outstanding release of Y.S.E in new Artwork and Design.